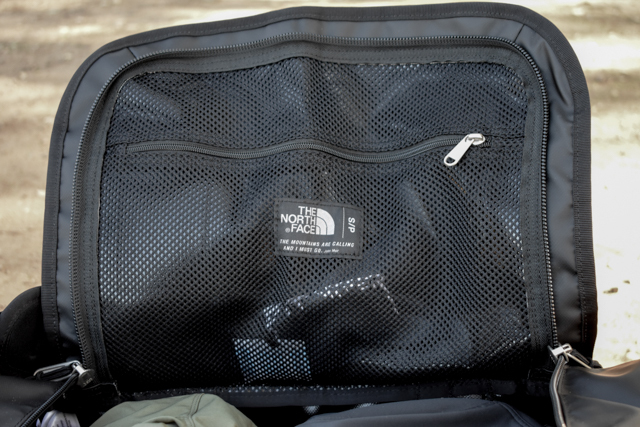 A review of the North Face Base Camp Duffel - a durable, weather-proof and easy to pack travel bag. 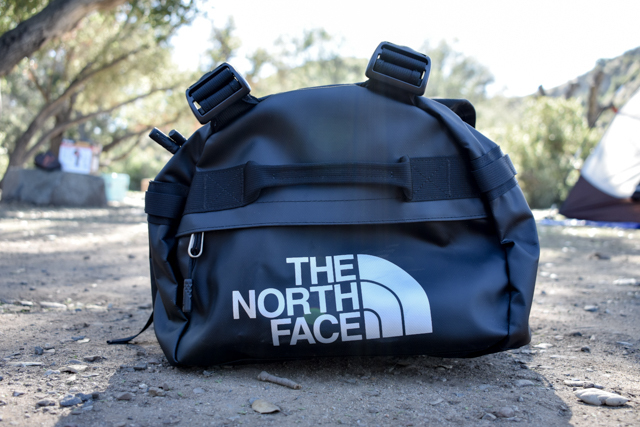 A review of the North Face Base Camp Duffel in size Small. This has quickly become my go-to travel bag. I’ve used it for short camping trips, work trips, and local weekend getaways. Most of my trips are 2 to 3 days, so the small size offering from North Face was the perfect option for me. 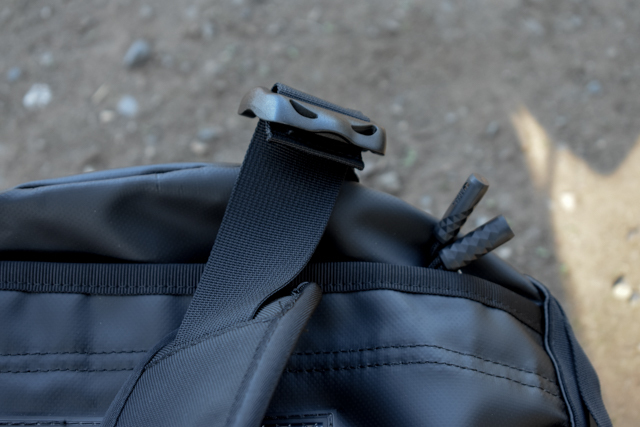 I find this bag very easy to pack, with the top compartment opening wide open for easy access. There are pockets for organization inside as well. When the bag is new, the material can feel a little stiff. It took me a couple uses for the zipper and material to get a little more flexible and easier to handle. This speaks to the heavy-duty nylon material North Face uses in the construction of the Base Camp Duffel. It’s very durable and also water-resistant. Personally, I prefer this type of material for an outdoor bag like this, since it doesn’t hold onto dust, dirt, and water like your traditional canvas bag would. 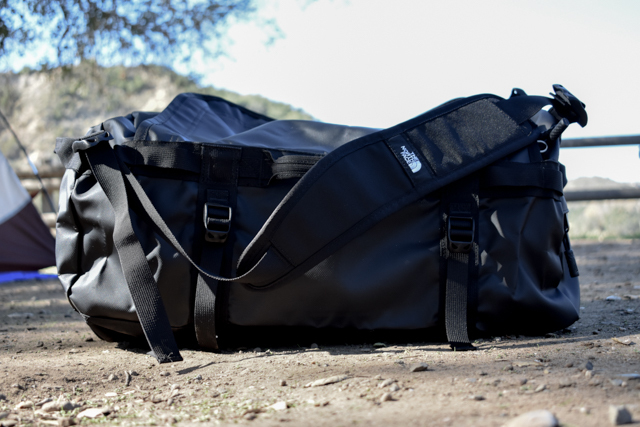 The small size bag has two straps to allow you to wear the duffel like a backpack. I was very surprised with how comfortable the straps are, even with the bag completely packed full. They are well designed to distribute the weight and shape of the bag on your shoulders. The Base Camp Duffel from North Face is available in 6 different sizes, with sizes from XS to XXL. North Face also has several different color options available, from the plain black version I went with to multi-colored Camo and more. The price is a little steep for this duffle bag from North Face. However, I think this is one of those cases where you really get what you pay for. Thanks to the heavy-duty construction I see myself using this bag for years to come. You rarely see these bags pop on sale, but if you’re’ looking for a deal it may be worth waiting for an REI member sale or visiting a North Face outlet. 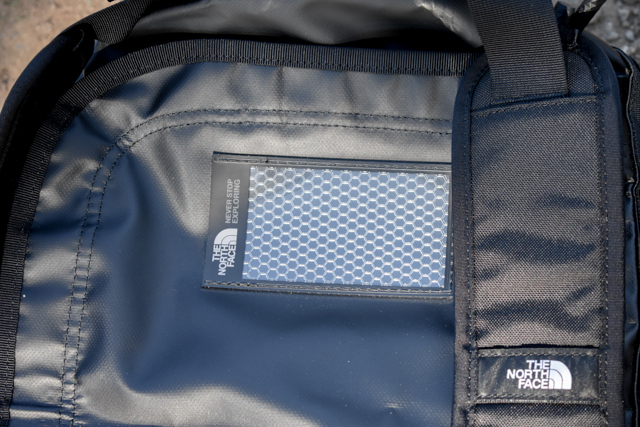 The North Face Lifetime Warranty helps add a little peace of mind knowing your bag is built to last. Here are some of my favorite size and color options from North Face.